The Enel Group, through its renewable energy subsidiary Enel Green Power Australia Pty Ltd. (“Enel Green Power Australia”), has been awarded a 15-year support agreement with the Australian State of Victoria for the generation of energy and green certificates by the 34 MW[sup][/sup] Cohuna Solar Farm. The agreement was conferred through a renewable energy reverse auction launched last year by Victoria. Cohuna Solar Farm, which will be co-developed with the local developer Leeson Group is located in the Shire of Gannawarra, Victoria, approximately 8 kilometres south of the town of Cohuna. Enel is expected to invest around 42 million US dollars in the solar facility, whose construction is set to begin in the first half of 2019. The plant is due to enter into commercial operation by the end of 2019 and will be backed by a 15-year support agreement with the State of Victoria. The facility will be connected to the local distribution grid through the Cohuna Zone Substation. The Cohuna solar facility, which will be composed of around 87,000 bifacial modules, is expected to generate up to 77 GWh/year, which is equivalent to avoiding the emission of around 70,200 tonnes of CO2 into the atmosphere each year. The tender held by the State of Victoria was launched in November 2017 for 650 MW of renewable capacity, of which 100 MW was earmarked for solar. The tender is part of Victoria’s Renewable Energy Target (VRET) to source 25% of its electricity production from renewables by 2020 and 40% by 2025. EGP is already present in Australia, where it has recently connected to the grid the first 45 MW feeder of the 137.7 MW[sup][/sup] Bungala Solar One PV plant. The facility is part of the Bungala Solar PV Project, located near Port Augusta, South Australia. Once operational, the overall Bungala Solar PV Project will have a total capacity of more than 275 MW[sup][/sup]. 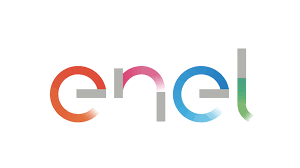 Enel Green Power, the global renewable energy business line of the Enel Group, is dedicated to the development and operation of renewables across the world, with a presence in Europe, the Americas, Asia, Africa and Oceania. Enel Green Power is a global leader in the green energy sector with a managed capacity of more than 42 GW across a generation mix that includes wind, solar, geothermal and hydropower, and is at the forefront of integrating innovative technologies into renewable power plants. [sup][/sup] The plant’s DC capacity amounts to, approximately, 34.2 MW, equivalent to 27.3 MW AC. [sup][/sup] More precisely, 275.4 MW DC equivalent to around 220 MW AC.